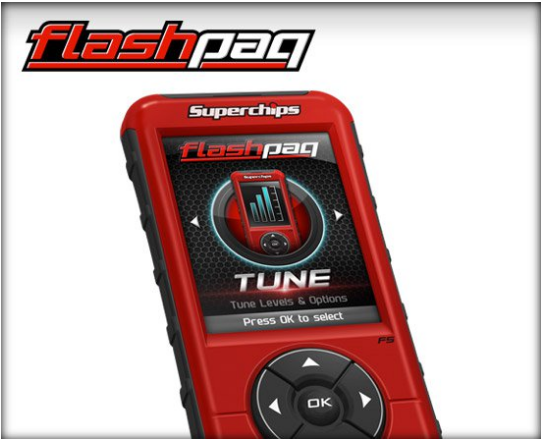 The all-new Flashpaq F5 is the industry leading handheld tuner. With this easy to use handheld tool, you can add horsepower in minutes without turning a wrench! The user interface has been redesigned with simplicity and functionality in mind. 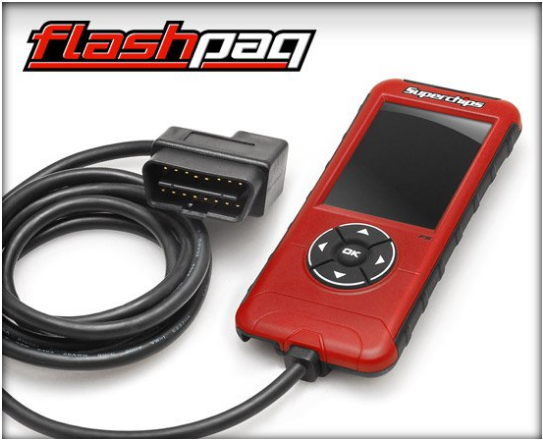 It is now easier than ever to select your power level and have instant horsepower gains, driveability improvements and prevent unneeded downshifting! Mileage gains are also achievable with our new optimized and efficient tuning. The Flashpaq F5 is packed full of tuning experience with over 30 years of tuning history. Tuning that you can trust is backed by an industry exclusive 2 year powertrain warranty to ensure peace of mind! *Features may vary based on year, make, & model. Copyright © 2014 PDQ Performance Whse..